Thursday’s reboost was the first of a set of “regular” burns, following on from the test reboost conducted on Saturday night at 9:54 PM GMT. The successful test reboost – using the Aerojet-provided Orbit Correction System (OCS) thrusters – increased the ISS’ velocity by 1 meter per second, and increased its altitude by 1.7 kilometers. The reboosts are required to set up the phasing requirements for the Russian Progress M-15M/47P launch on 20th April, the Soyuz TMA-22/28S landing on 27th April, and the Soyuz TMA-04M/30S launch on 15th May. For this reboost, the ISS’ attitude control was performed by the station, while two of ATV-3’s four engines fired to raise the orbital outpost to an altitude that will reach as high as 395.6 km at apogee. “Tonight’s reboost was successfully performed using the ATV OCS (Orbital Control System) thrusters starting at 19:05 GMT / 21:05 CEST. The delta-V (DV – change in Station velocity) was 2.2 m/s for a 15-minute burn, which raised the ISS by 3.86 km to a higher orbit,” noted ESA’s Mike Steinkopf on ESA’s ATV blog coverage. 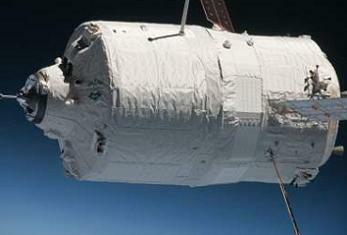 The next reboost to be conducted by ATV-3 is scheduled for April 25. It has been over a week since Edoardo Amaldi successfully docked with the Russian Zvezda module. The procedure was monitored by ESA astronaut André Kuipers and Russian cosmonaut Oleg Kononenko from inside the ISS and by the ESA/CNES mission operations team at the ATV Control Centre, Toulouse. As noted in a previous article, the vehicle suffered from a power loss shortly after docking. This related to ATV’s requirement for electrical power from the ISS during their Attached Phase Operations (APO), power which is provided by the Russian Service Module (SM) “Zvezda” via the ATV’s Russian Docking System (RDS) interface. 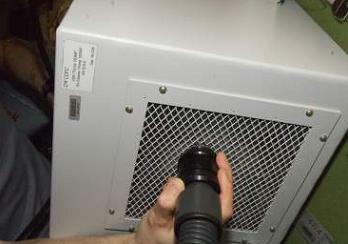 The SM provides power to the ATV’s Russian Equipment Control System (RECS), which features two power chains – a primary and a backup – and the RECS in turn distributes power via a power bus to the four Russian Systems Interface Units (RICUs), which interface the RECS with ATV’s 1553 bus, to which the ATV’s avionics system and electrical outlets are connected. The problem occurred shortly after the crew installed an air scrubber to remove any contaminants inside ATV’s pressurised cargo area. As part of this procedure, the crew also installed the Russian POTOK air filter unit as a measure against any bacterial contamination that may have occurred on ground before the hatch was closed for launch. The ATV then experienced a fault in one of the two aforementioned power chains of the onboard electronics system that controls its electrical power connections to the Zvezda module. This was a serious problem, as internal notes spoke of a potential need to undock ATV-3 within days if the problem remained unresolved. “A string swap is being attempted to recover power. If that is not successful, undock could be required as early as Monday (April 2nd). The solar arrays are providing power now, but this will not be sufficient in the long term,” noted via L2 ISS Status Updates (L2 Link). However, thanks to the skill of the ISS team, the RECS chain swap was successfully completed on Saturday, restoring integrated power between ISS and ATV-3. As a result of the integrated power recovery, planning meetings for the contingency undock were cancelled. ISS crewmembers also reverted from the transfer of high priority cargo to a “regular pace” of transfers. Teams are continuing to investigate the chain 1 power anomaly and possibility that the POTOK – manifested in the Service Module – was the root cause. Further information was noted on an ISS presentation relating to preparations for the upcoming – and historical – arrival of SpaceX’s Dragon spacecraft, which is scheduled to launch atop of a Falcon 9 on April 30 from Cape Canaveral, ahead of its C2 (D2) and C3 (D3) COTS (Commercial Orbital Transportation Services) test milestones. 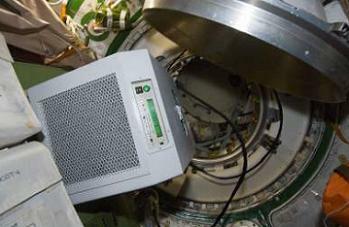 “Observation: Late 3/29/12 (GMT 90), the Service Module (SM) power feed to ATV 3 (RECS channel 1) was lost. 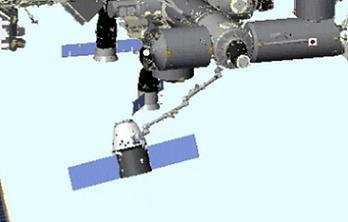 A chain swap (RECS channel 1 to 2) was successfully completed on Saturday, restoring integrated power between ISS and ATV3,” noted one of the presentations available on L2’s new SpaceX Dragon C2/C3 Mission Special Section – (L2 Link). The presentation also noted that another POTOK is available on the ISS, with teams evaluating a potential swap and test procedure to resolve the root cause of the power failure. “Status: There is another POTOK in the FGB that may be interchanged with the SM POTOK . The FBG POTOK is a known good POTOK. Ground teams are evaluating swapping the two to see if this resolves the problem (indicting the SM POTOK as the cause),” added the notes. Meanwhile, one of ATV-3’s Tracking and Data Relay Satellite (TDRS) channels apparently failed on Thursday, according to non official notes. Controllers have switched to a backup system for the interim. “ATV TDRSS Chain 2 Failure: ATV TDRSS Chain 2 Failed on GMT 095 during Orbit 2. The cause for this failure is under investigation. Chain 2 is normally the prime chain,” according to the L2 ISS Status Updates. However, the notes added that should both TDRS chains fail, the Prox link can still communicate with ESA ground sites, Also, the Debris Avoidance Maneuver (DAM) capability still exists with both TDRS chains failed once a Prox Link has been established.